Ring in the holiday season with Kenny Loggins, Georgia Middleman and Gary Burr!! 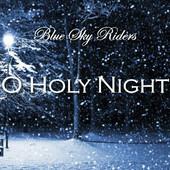 Reinventing the holiday classic, ‘O Holy Night,’ Blue Sky Riders have taken one of the season’s most beloved songs and wrapped it up as a three-part harmony gift. Shot at the legendary Franklin Theater, just outside of Nashville, TN, this video offers fans the opportunity to celebrate the season in grand style. Share the joy on Twitter! Visit Blue Sky Riders on Twitmusic to listen to the full song and share with your Twitter friends and followers!